If you want to escape from the daily hurry and stress, Holiday Home Olive Grove with Swimming Pool is the place for you. The place where you can be completely relaxed, enjoy the fresh air, crystal clear sea, and the greenery of nature. 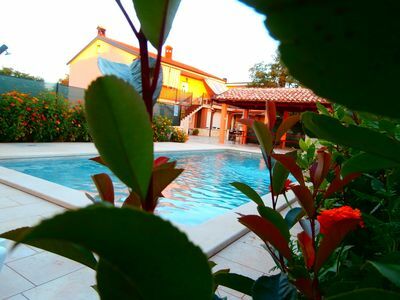 We offer the whole house for use as well as the pool. 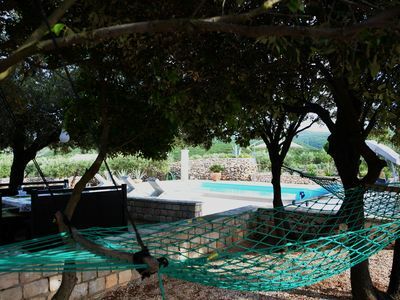 Holiday home Olive Grove is surrounded by olive trees that give the typical Dalmatian atmosphere. Besides the holiday home is a garden, so you can see and experience the method of growing some plants typical for this region which you can also use in your cooking. 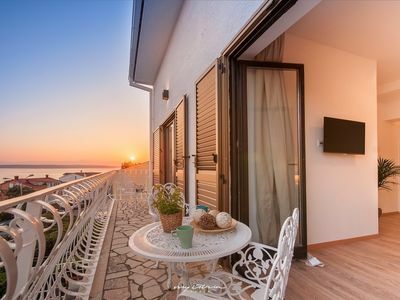 Holiday home Olive Grove is located on a small hill from which you have a view on the surroundings of a few kilometers and the vastness of which you will have the view,will leave you breathless. When you wake up in the morning you will have the feeling that you never want to leave. Because of the position on island Brač, which has excellent connections with other islands and the mainland, you will be able to visit the surrounding places which each one of them has its own story. You can enjoy your day under the shade of the trees, sleep in a hammock or swim in the pool. Basically, there is no need to move from the property unless you want to walk to the beach, which is 1,5 km away. This place is a great destination where you can relax and create new memories and is also perfect for a family vacation with kids. 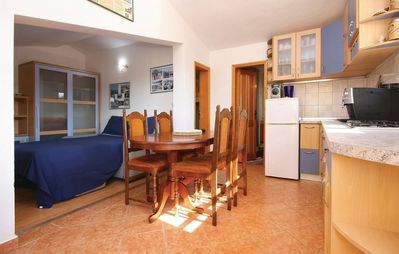 Holiday home Olive Grove gives you more place than any hotel or motel because you have the whole property for yourself. Pučišća is one of the greatest places on the island. The town is located on the inner part of the deep retracted bay on the northern side of the island. 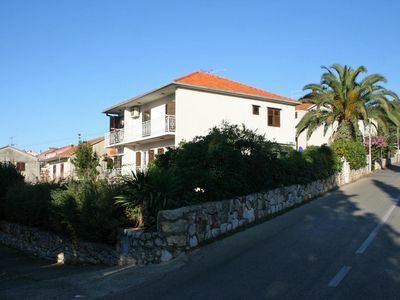 Pučišća is very interesting both from historical and constructional point of view. There are a lot of locations which you should visit for example the Parish church of St. Jerolime, a small church of St. Dujam on the southwest of Pučišća, the beach Zlatni rat etc. The island of Brač is the highest and third largest island in the Adriatic Sea. The island is well known for its quality stone used to build many palaces. This is the island with the only stone mason school in Croatia. Zlatni rat, Vidova Gora, Blaca desert, deep inlets, olive-groves, vineyards, pinewood along the crystal clear sea are motifs that numerous visitors bring home from the island of Brač.